Firmware 3.61 is now out for the PS Vita. 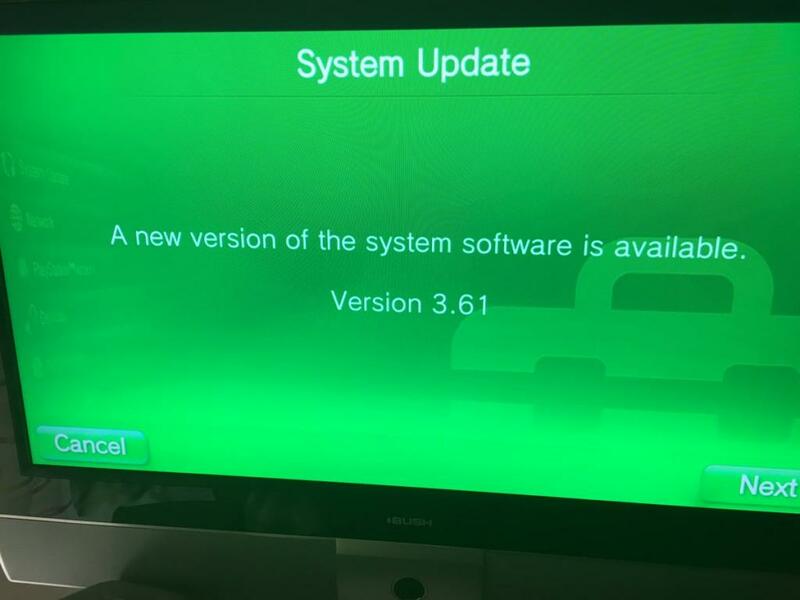 As expected, this latest firmware update is a “stability” update that patches the “HENkaku” hack which was released 10 days ago for firmware 3.60. Those who want to enjoy the benefits of the hack should not update to firmware 3.61. Again, to make it clear: if you want to use HENkaku, do not update to 3.61. The hack is patched in this firmware, and there is no downgrade possible, no “trick” to make it come back for you. At the time of this writing, Sony’s official site still says 3.60 is the latest version, but it’s clear the fix is now going out to all PS Vitas that try to connect to the PSN. If your PS Vita is showing you a message saying you need to update to 3.61, typically rebooting the console might do the trick for the message to go away. People who stay on firmware 3.60 won’t be able to directly access the PSN. There are, however, ways to still do lots of stuff involving the PSN with your PS Vita 3.60, including activating it, downloading content (through a PS3), and more. You’ll want to start and use QCMA for content transfer. See our Lower PS Vita Firmware guide for dummies for more tricks. Also you can use Vita Update blocker 3.60 to access the PSN on firmware 3.60, for now. Source: lots of people pinged me on this, thanks! I bought a Ps vita and was planning on getting Henkaku but the same day I got it there was an update. Such b.s I’m thinking about changing the motherboard but I don’t know if it’s worth it..
please hurry up and fix this prob as soon as possible!! we’re impatiently waiting for 3.61 hack.